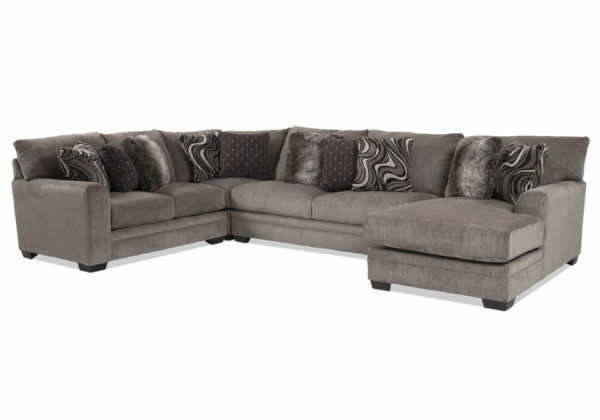 Maximize your comfort with the Jackson Luxe 4Pc RAF Sectional with Chaise! This super plush sectional sofa is covered in soft fabric. Ten stylish accent pillows add the perfect touch while providing an extra cozy feel. Whether you’re snuggling up with your favorite book, or lounging with a bowl of popcorn and a movie, this will be the comfiest spot in the house! *Sectional includes RAF chaise, corner wedge, armless sofa, and LAF loveseat.